As a consequence of Friday’s tragic events the markets remain close today. This is a pity because we love going to the Bastille Market every Sunday, and would have gone also today. All those colors bring us a lot of joy. Not to mention that we bring home several bags of fruits and vegetables that last at least until Thursday –the day the market opens again. 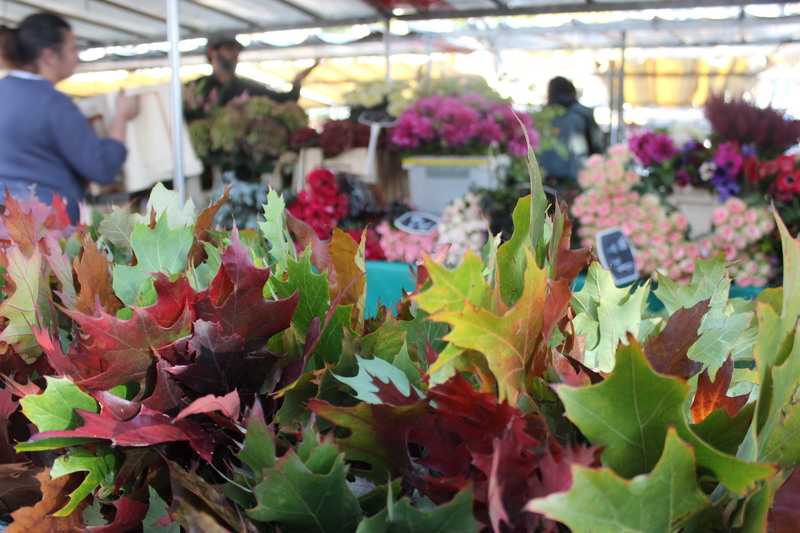 The Bastille Market, open on Thursdays and Sundays, gives a lot of joy to us. Today the market remains close. Yesterday afternoon we left our secured home and wandered through the streets of Paris. 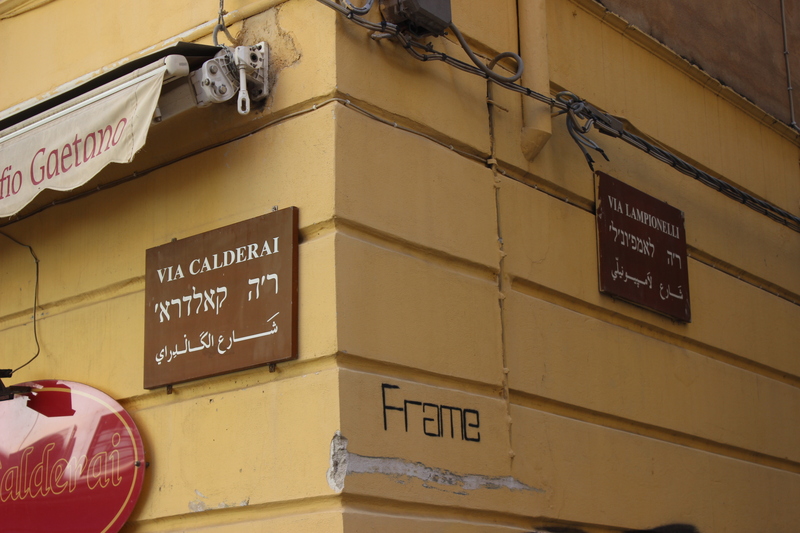 First Rue de Charonne where we met with a friend, then la Place de la Nation and Rue du Faubourg Saint Antoine. The 11th arrondissement was very quiet indeed but calling it a ghost town would be far-fetched. Near Faidherbe-Chaligny metro, a few steps away from the shooting sites, we said good bye to a friend who headed home. 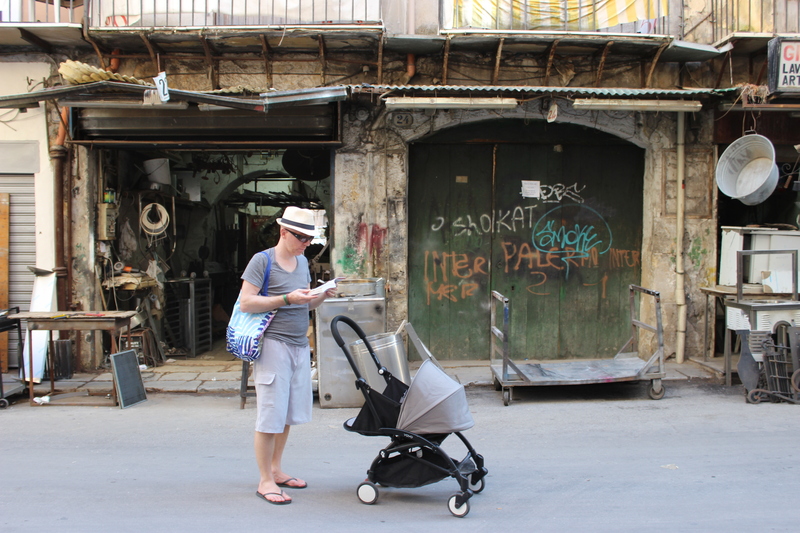 We started walking towards our arrondissement, the 4th, and did groceries in the heart of the lower Marais, Saint Paul. Shops, cafes and restaurants were open and alive. By the time we were ready to return home it was l‘heure de l‘apéro. I paid attention to a church that was unusually full of people of all age. Hundreds of candles were lit. In a few minutes we are going to check the market anyway. Maybe an odd vendor will be selling aubergines and grapes? Probably not. In this case we are going to have a walk. Should we stay inside and prepare for the worst, minimize the risk by skipping our usual habits? No, I don’t think so. I have never lived by fear, even in countries where I probably should have because the risk of terrorism was very high. So far my intuition and luck (or destiny if you prefer) have kept me alive and I trust they will continue to do so. Maybe I am naive but I refuse to live under fear. PS I was going to end this post by referring to the Western values like freedom etc., but I don’t want to fall under this East (“bad values”) versus West (“good values”) thinking, which I believe is another trap, something terrorist want us to start believing too. The global situation is by far much more complex…. This entry was posted in Uncategorized and tagged cafe, food, France, market, Paris, religion, restaurant on November 15, 2015 by Miia. In less than five days I will be swimming in the Atlantic Ocean and I cannot tell you how great it already feels! Even if this fall has not been that rainy in Paris, I love the idea of soaking up the sun and playing with the waves. The importance of annual winter sun therapy cannot be exaggerated! Miami is a great winter destination for Europeans: beautiful weather including warm sea water all year round! 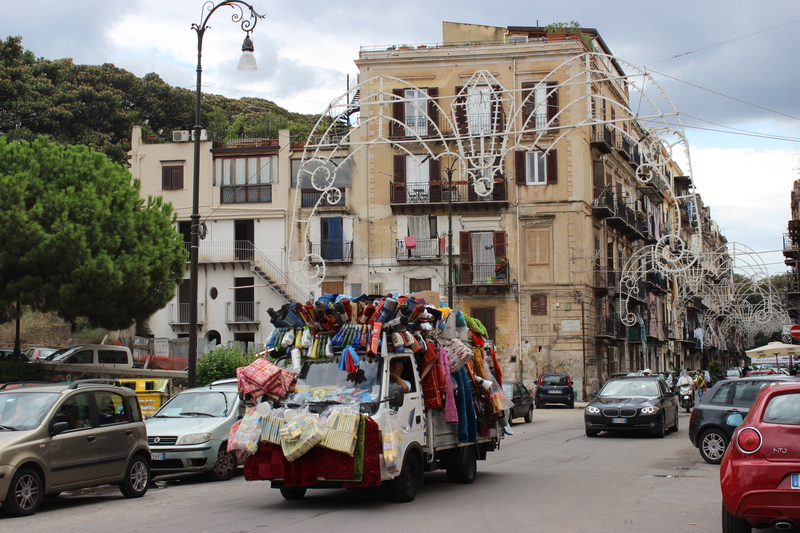 When we decided to go away in late November, we hesitated between different destinations. It was not easy. If you want to be able to swim in warm water, and do not want to travel all the way to Asia or Africa, the options are quite limited for us living in Europe. We contemplated between Dubai combined with Oman, and Miami, and finally decided on the latter. Tickets cost more to Miami than Dubai (and I won’t be able to fly my favorite aircraft A380…) but seaside hotels are cheaper. In addition, there are great shopping opportunities in the US. Of course one finds almost everything in Dubai, too, but who does not love American outlets? Especially when we are about to hit the Thanksgiving and Christmas sales! I have been to Miami and Florida before, but for some reason I am particularly excited about it this time around. I am getting into my bling bling mode and searching my wardrobe for dresses with matching shoes and bags to wear. What I know about Miami is that no dress is too extravagant! After all, I will be competing with southern American beauties so I have to look my best (lol). 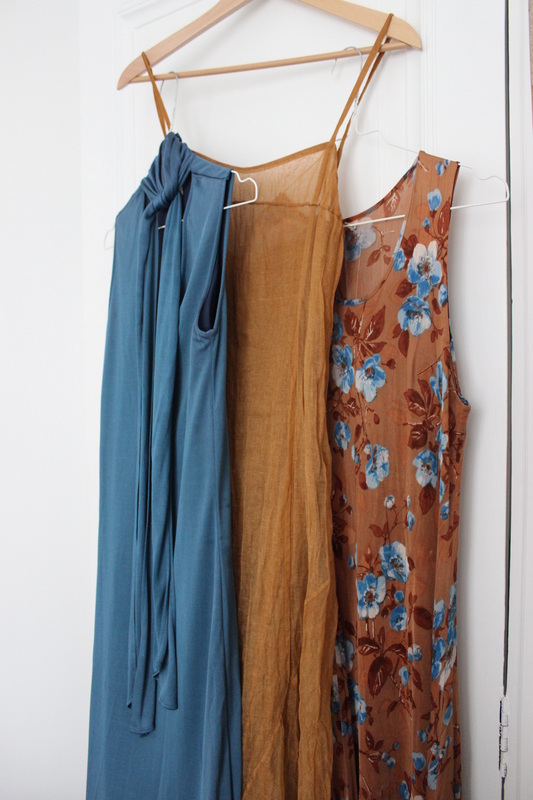 Part of my dress selection for Miami! Art and architecture in Miami. 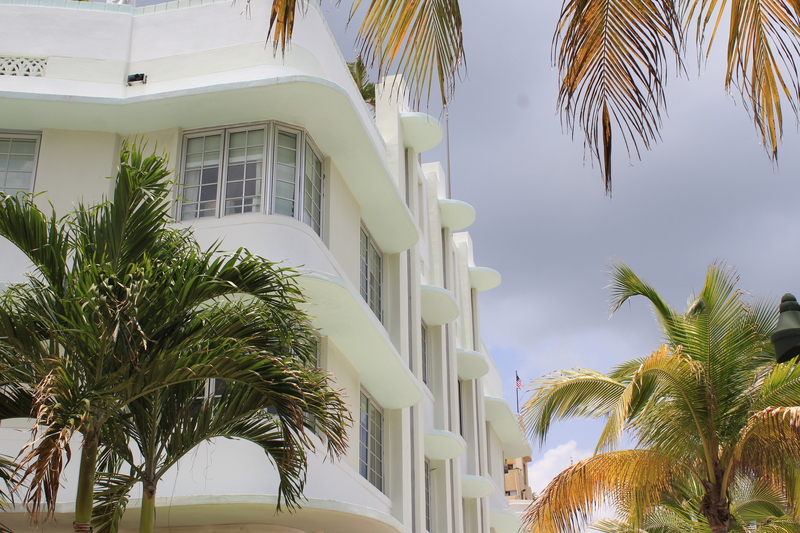 South Beach is the world’s most famous art deco district. So, I am a fan of Miami and Florida, yes. When I first visited Miami just over two years ago, I was prepared to stay just one full day in Miami and then head to the Keys for the rest of the week. I admit that I thought Miami would be too artificial, too flashy, and I would have never thought that someone as intellectual as I consider myself to be (second lol) could fall in love in Miami. But I did. I loved the beach life, loved southern American fusion food (Bolivar: South American Fusion Food in Miami Beach), loved the art and architecture, and the people. I have worked a lot with Americans in the past and I just love that simplicity, straight to the point attitude, and their marketing and communications skills. 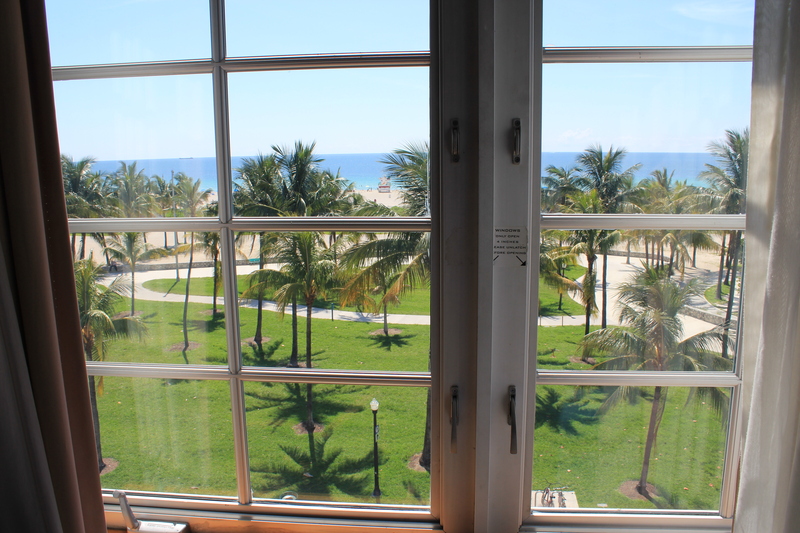 So, during our last trip we spent 5 wonderful days at the Park Central Hotel in Miami South Beach and 3 nights in the Keys. Such a wonderful trip it was. That time it was for my husband’s birthday, now it will be mine. 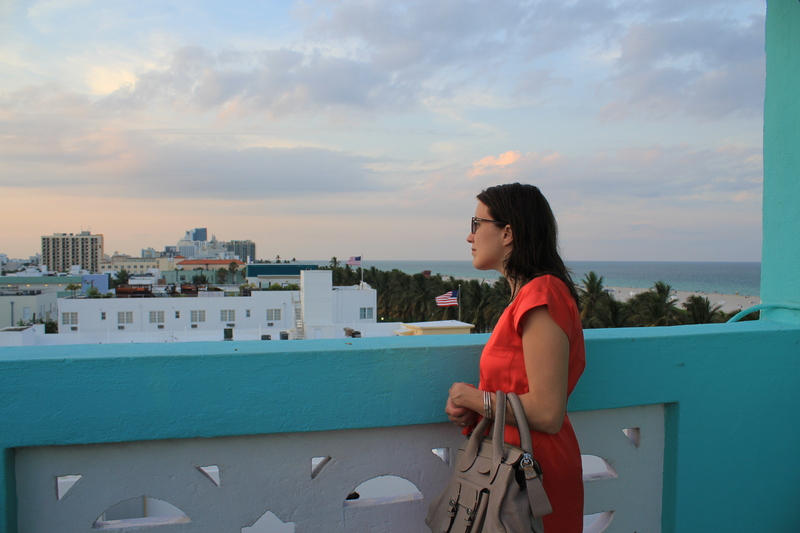 I am very confident that Miami won’t disappoint me this time either –how could it?! Stunning view from our room at the Park Central Hotel. What do you think of Miami and Florida? What would you do if the only thing you had booked was a Paris-Miami return ticket and two weeks of time? Any tips on great restaurants, things to do, hotels (all categories), snorkeling, etc.? Share your pearls with me please and I kindly than you in return. 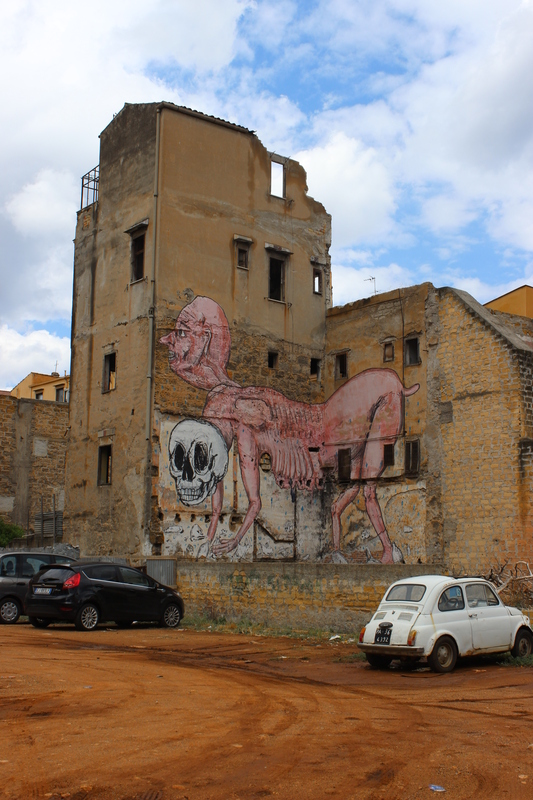 This entry was posted in Uncategorized and tagged architecture, art, diving & snorkeling, fashion, food, hotel, Miami, restaurant, travel, USA on November 26, 2014 by Miia. As many of you have noticed, I haven’t been very active recently. Haven’t been going out, haven’t taken time to cook and most importantly, haven’t discovered any new restaurants –until this week! 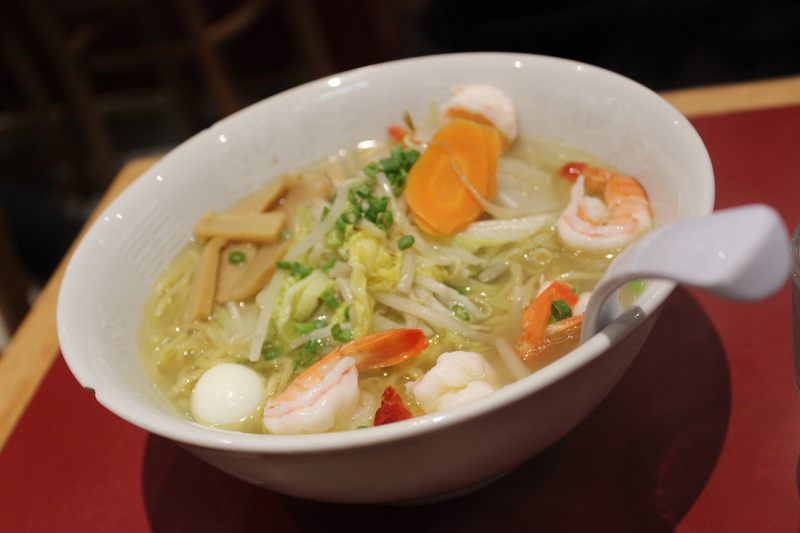 Last Sunday we fancied a Japanese noodle soup, ramen, and headed to the Little Japan of Paris, located on Rue St Anne and its proximity. Sapporo is open until 11 p.m. on Sundays, and as we were approaching the closing time, we quickly walked in. Sapporo, located in Rue St Anne near the old Opera, is open until 11 p.m. on Sundays. Convenient! My husband had Gomoku Ramen (pork-broth based noodle soup with prawns and vegetables, 9€50) and I had Ebi Yasai Itame (sauteed vegetables with prawns, 9€80). As our waiter explained, most of the dishes are made of pork broth, but my dish plus a few others are pork free. Ebi Yasai Itame, sauteed vegetables with prawns. Yummy!! 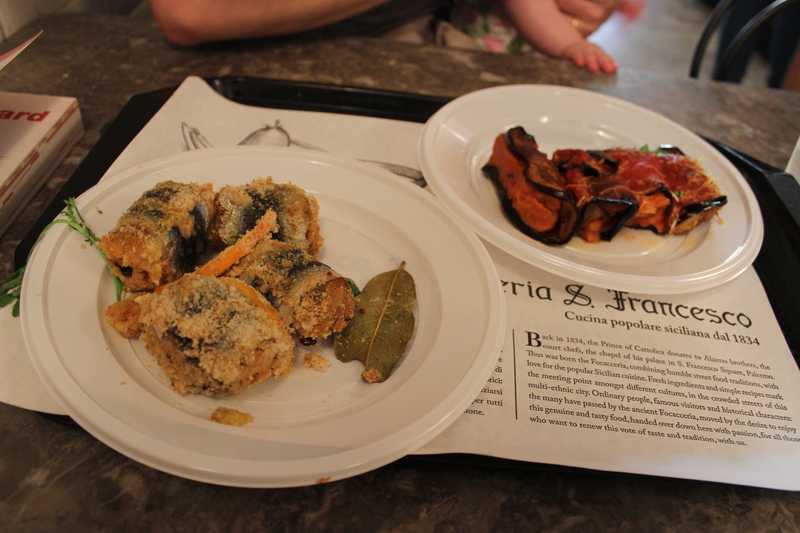 Both dishes were excellent and rather copious. Healthy tasting with very fresh ingredients. I did think that my dish had a slightly “Chinese taste”, but I am neither an expert of Chinese food nor Japanese so I let those who know better comment. My husband’s soup tasted rich but light. I don’t like pork and never eat it, but the broth didn’t have pork taste in it, so we could actually share the dishes. Gomoku Ramen, noodles with vegetables and prawns. A perfect and healthy autumn warmer! Our Sunday night dinner experience was indeed so great that we returned on Tuesday night to the same restaurant! On Tuesday night Sapporo was all full. Some waiters do not speak English or French, but it didn’t bother us. Service was rather fast and it was fun to watch chefs cook behind the bar. There are fixed menus, too. 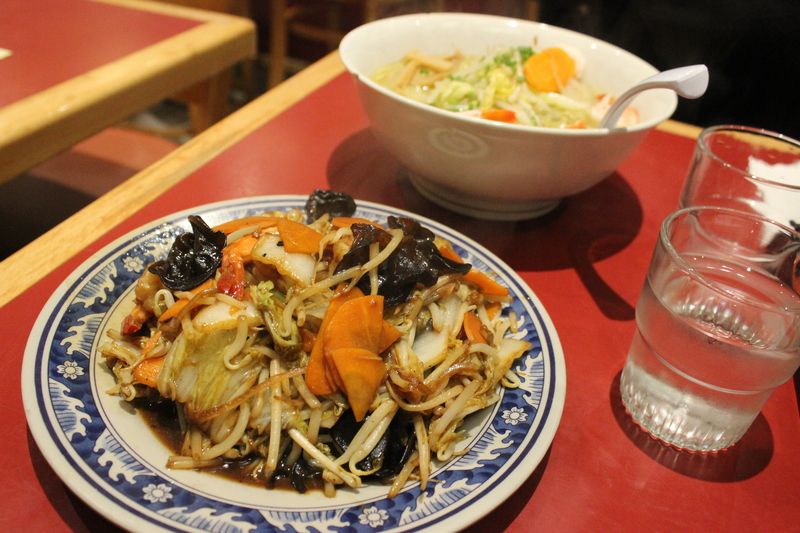 If you are in the Opera area and looking for a fast, ethnic eating experience, think about Rue St Anne and Sapporo! I had not visited this street for some time and I will make sure to stop by during the coming cold months to warm up my bones with a good old ramen soup! SAPPORO: 37 rue Sainte-Anne, 75001 Paris. Tel. 01 42 60 60 98 . Open every day! 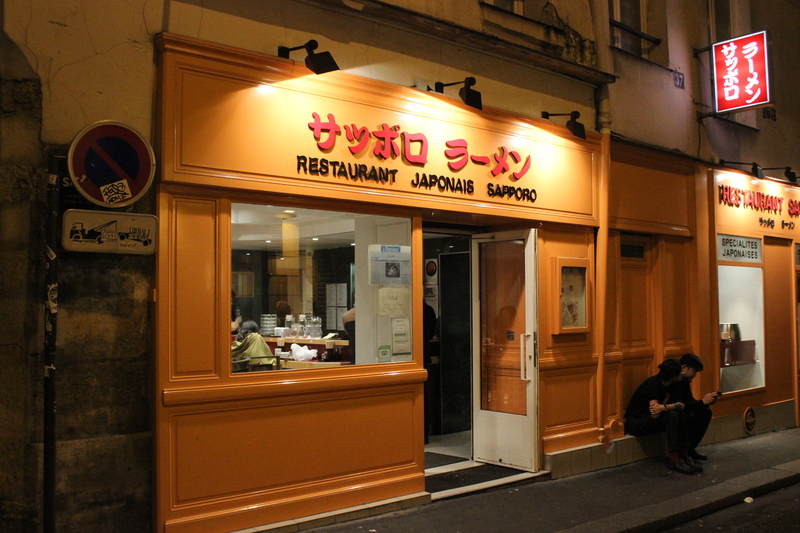 There is another Sapporo in 276 rue Saint-Honoré, also in the 1st arrondissement, but closer to Louvre and Palais Royal. This entry was posted in Uncategorized and tagged food, Japan, Paris, restaurant on October 16, 2014 by Miia. From The Market Square by the sea in Helsinki my little good bye tour of Helsinki continued to another wonderful market, the Old Market Hall. 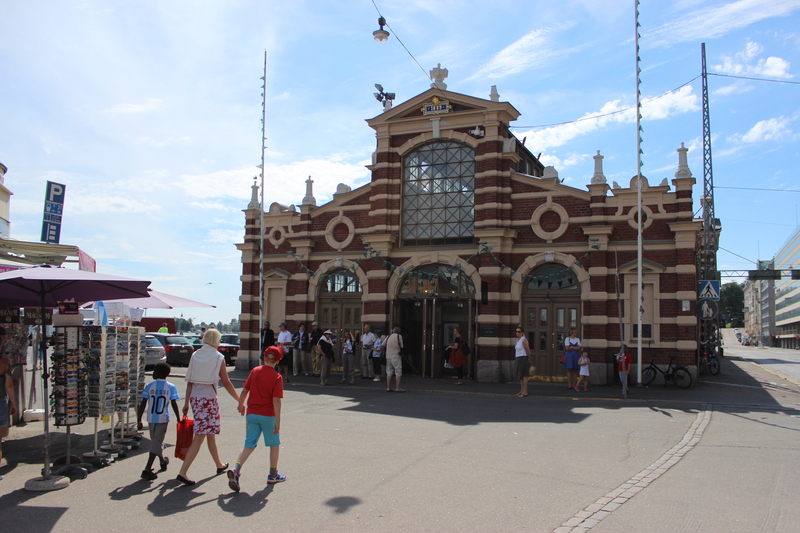 This beautiful building, open to public in 1889, is one of three covered market halls in Helsinki and another must place to see when visiting the Finnish capital. 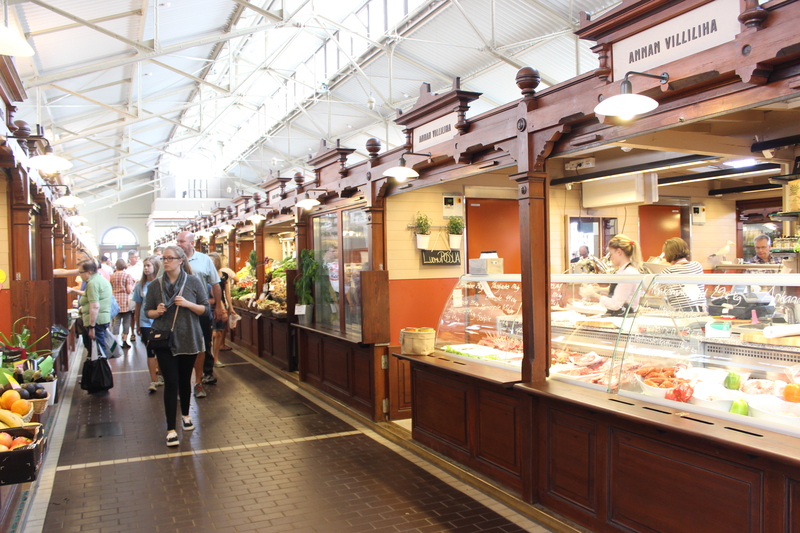 The Old Market Hall opened its doors in 1889. This is when Finland was an autonomous state of Russia, the Grand Duchy of Finland. The choice of food is outstanding and includes fresh oysters, snails, crayfish and best cuts of meat, among many others. I had already had strawberries and coffee outside by the sea, and it was now time for salmon and more coffee. A typical Finnish breakfast (just kidding!). My mission was to overdose on Finnish delicacies before catching my flight a few hours later and I had decided there was no better way to do this than buy slices of marinated salmon and eat them with fingers! 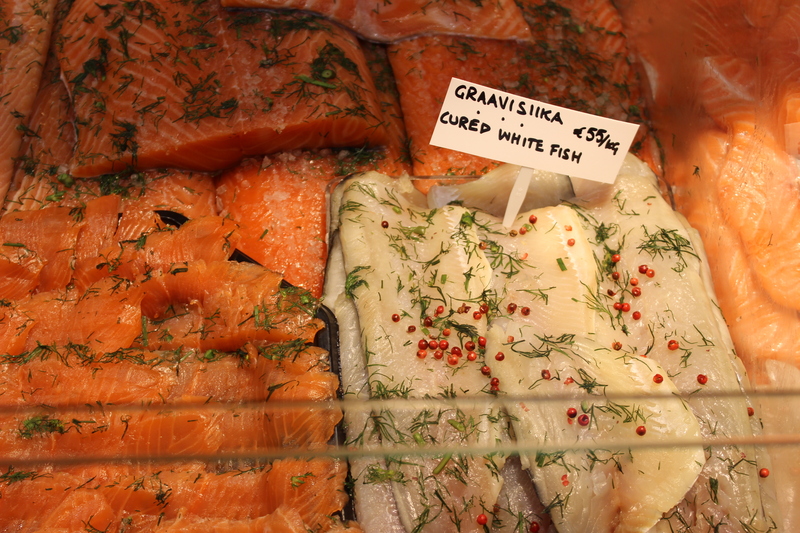 Salmon with different flavors and ways of preparation at Fish Shop Marja Nätti. My paradise!! When in Finland, make sure that you taste other fish like white fish, too. The variety of freshwater fish keeps impressing me, so please do not stick to only salmon! 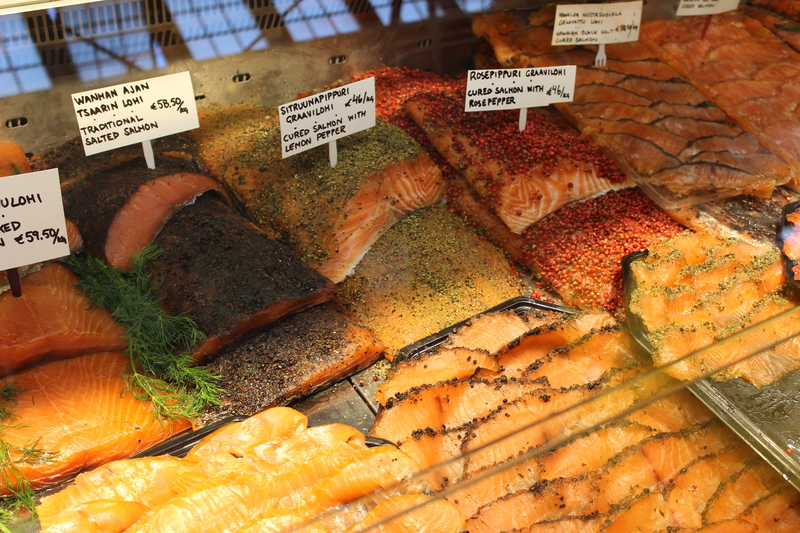 I purchased a few slices of marinated salmon from Fish Shop Marja Nätti that I got to know during my food tour in May (Helsinki by Food), and entered a fish heaven. I have no problem eating salmon for breakfast, as long as it tastes good, and the rosé pepper flavored salmon was just from heaven. Not only it tasted divine, but I was also boosting my Omega 3 levels… Perfect! Ready to leave Finland soon! This entry was posted in Uncategorized and tagged architecture, cafe, Finland, food, Helsinki, market, restaurant on August 13, 2014 by Miia.